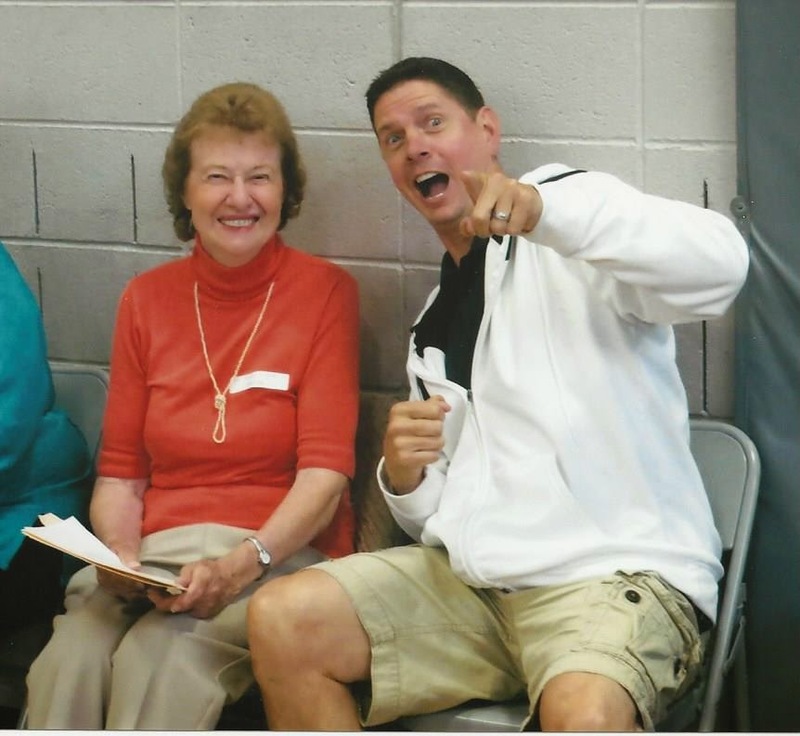 Shirley Zurfluh, Chair, Tri-Star Basketball Program, West Tacoma Optimist Club, was on hand at the Narrowsview Intermediate School Awards Assembly held Friday, June 13 and Monday, June 16, 2014. 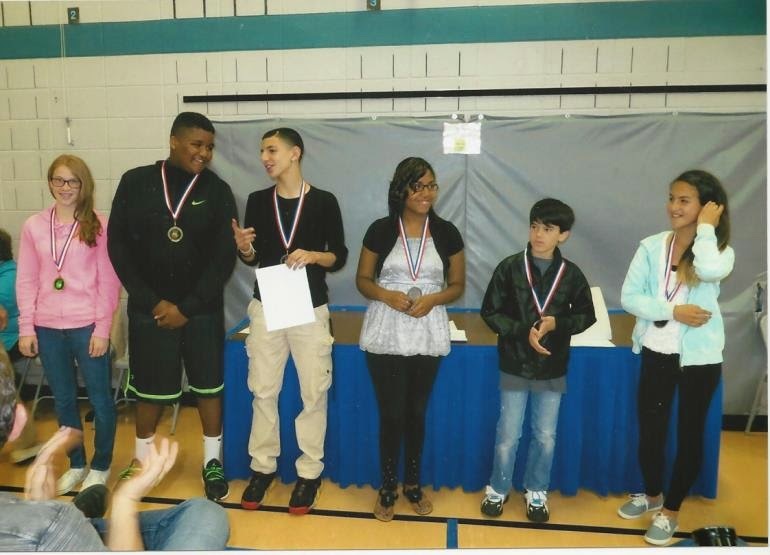 She was there to share the results and present awards to the students who participated. 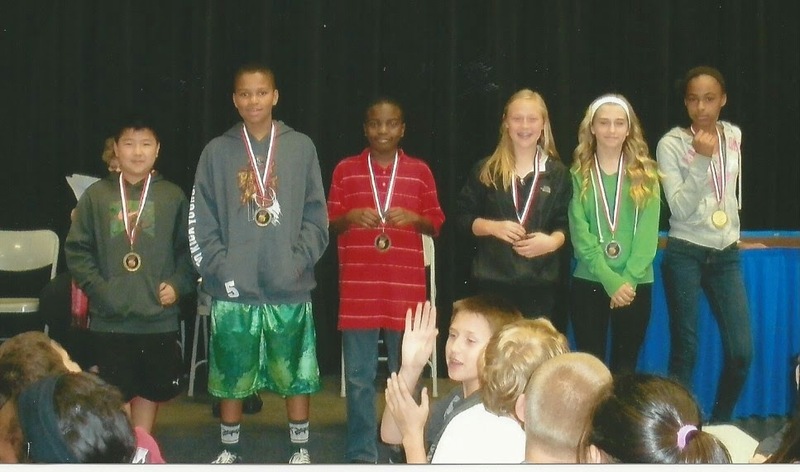 Following are photos of the grade level awards. K.P. 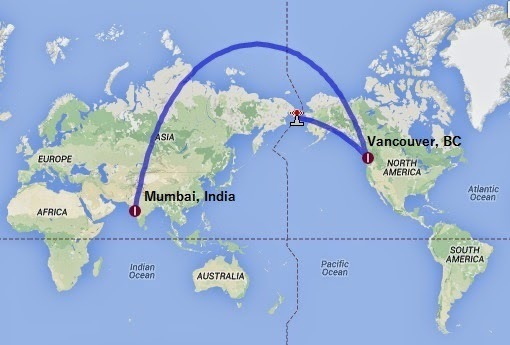 Aujilay, member, Optimist Club of Vancouver, BC wrote in this week with a story of international proportions. Read on! For the last 12 years I have been coordinating Oratorical and Essay Contests for the Vancouver Optimist Club. I am amazed at the insight of young students now a days. They are not only thinking of their own communities they are also aware of what goes on the world. I was born in India. Realizing that this spirit of optimism could do wonders for children in developing countries like India I often wondered the best way to assist children in my country of birth. Optimist International does not have Optimist Clubs in India. But this did not stop me. With financial assistance from my family,ten years ago I started holding Essay Contests at local colleges close to where my parents live. Education and Sports are my passion. This passion also encouraged me to start holding Annual Track Meet for Elementary and High School students for schools close to where my parents live in India. It has been an amazing and fulfilling experience. It also taught me that rich or poor children are always full of dreams. I am glad that I am able to assist in bringing out the best in kids; kids that do not get the same opportunities that our kids get in developed countries. Well done, K.P.! Thank you for sharing your optimism abroad and at home. The tournament was held June 14, 2014. The Hillsboro Optimist Club and District Chair Chris Hill hosted 18 players. Moving on to the Optimist International Junior Golf Championships in Florida are Giebien Na and Jennifer Krause. Please enjoy some scenes from the day. Certified International Trainer Robert Schiller facilitated the Optimist International Leadership Summit in Portland, Oregon on June 14, 2014. 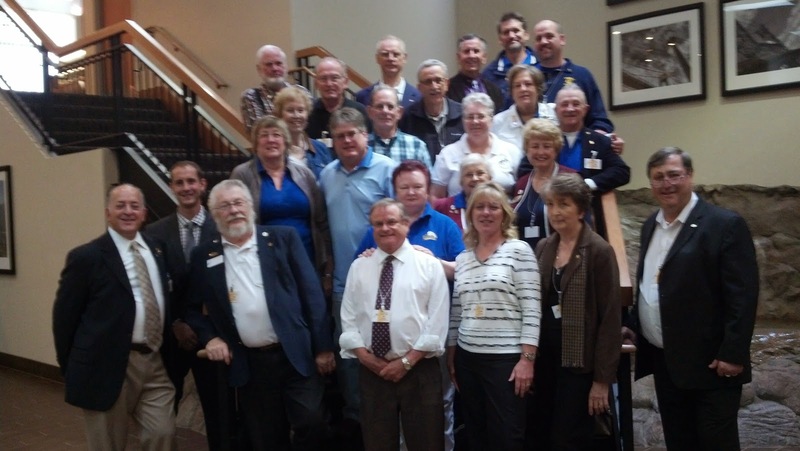 Following the model previously held in 14 other locations, there were 26 Optimist Club members on hand, including Optimist International President Ron Huxley, to learn about leadership and involvement opportunities in Optimist Clubs, Districts and Optimist International. Getting people, members and non-members, involved in projects and making them feel welcome at meetings were key messages of the conference. Involvement leads to membership retention and helps the club with their recruitment efforts. Also emphasized was that purpose of an Optimist Club is not to perform projects. Instead, the purpose or goal of the club should be to ensure that it can continue to exist so that it may meet the needs of its community today and in the future. Yes, positive and relevant projects are crucial to that goal, but even more so is a continuous stream of new members. In order for Optimist International to continue to exist, it must also continue to grow by adding new Optimist Clubs. 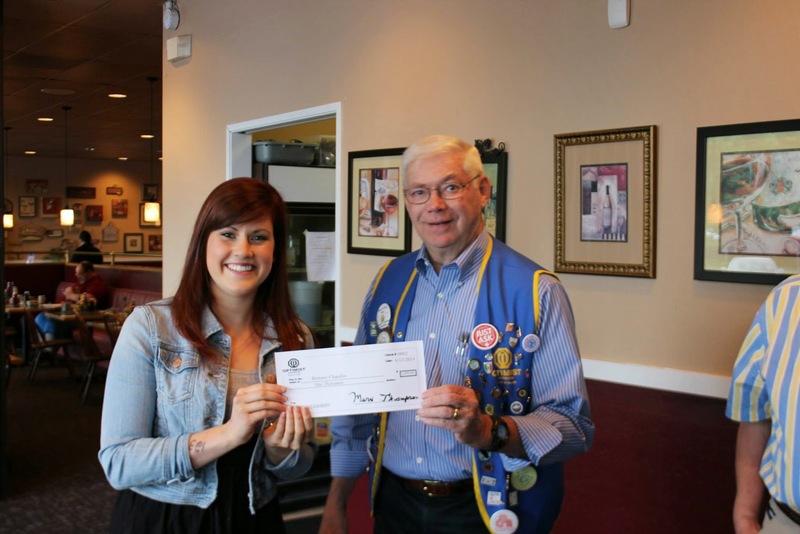 Starting and mentoring a new Optimist Club is perhaps the most important project that an Optimist Club can take on. The second way is to use real stories, from real people about why they belong to an Optimist Club and more important, why they are involved with the club's activities. This last point is the critical part of President Ron's theme: My Optimism (MO). Sharing why we are passionate about our Optimist Club projects will encourage others to try it out and possibly become passionate as well. We're still looking for those stories, friends. Tell us yours today. Thanks to the presenters who spent the day in the Pacific Northwest District: Ron Huxley, Robert Schiller, Danny Schuette, Fred Wallace and James Minyard. And special thanks to the attendees from as far away as Texas, Idaho, Washington, British Columbia and the host state of Oregon. 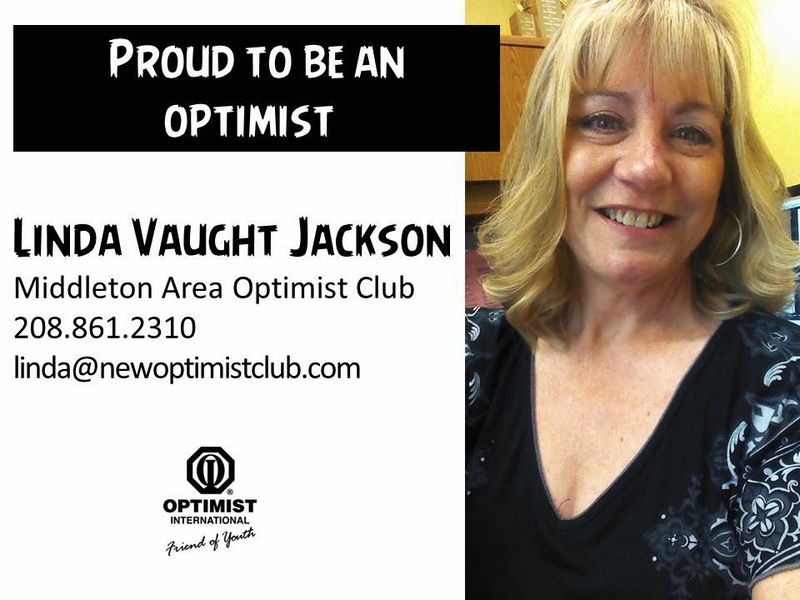 Let's show our Optimist Club pride! Are you proud to be an Optimist? Then say so! Let's show our pride by creating contact advertisements for our Optimist Clubs. You can use them on your website, in the newspaper, on your email signature, on your Facebook page. The contact ads will tell your friends and acquaintances that you belong to a positive community group that performs service on a local and international level. And if they want to join, they'll have your email and phone number handy so that they can call you right then and there. Larry Blackburn uses his as a theater screen ad for his business. It appears once per month at the Free Movies in the Park with the Middleton Area Optimist Club. In addition to supporting the club, the advertisement provides mutual credibility for his business and the Optimist Club. If you would like a personalized contact ad, please send a photo and your contact information to Linda Vaught Jackson and she will return your ad to you via email. 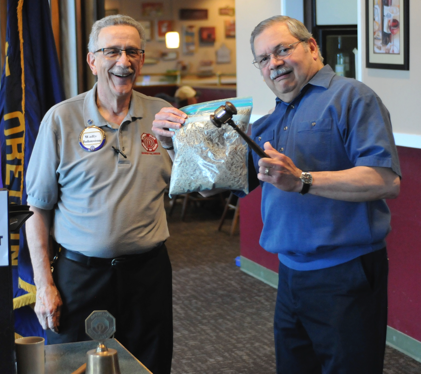 Brian Shaw, President, Oregon City Optimist Club, wrote in today to share information about the club's Respect for Law program. 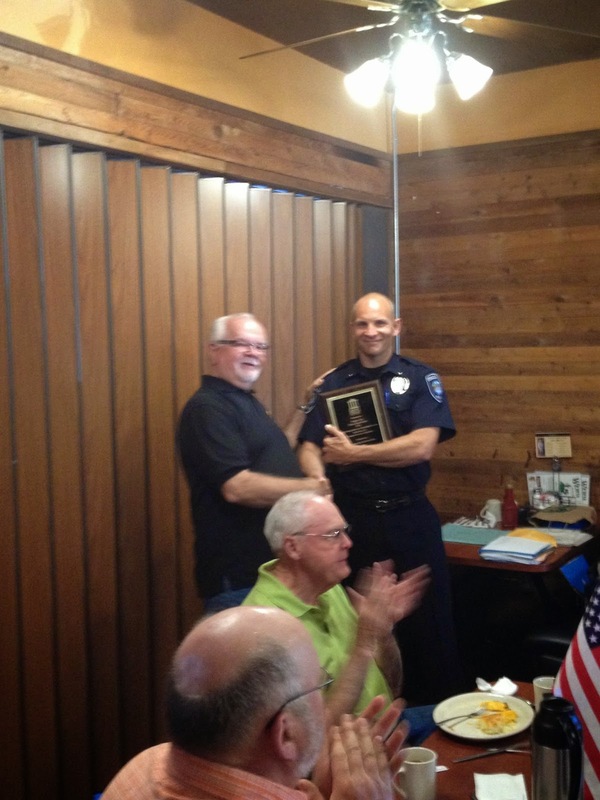 He said that the club has been honoring officers for around 25 years. Usually held in early June, it rotates between the Oregon City Police Department and the Clackamas County Sheriff Department. 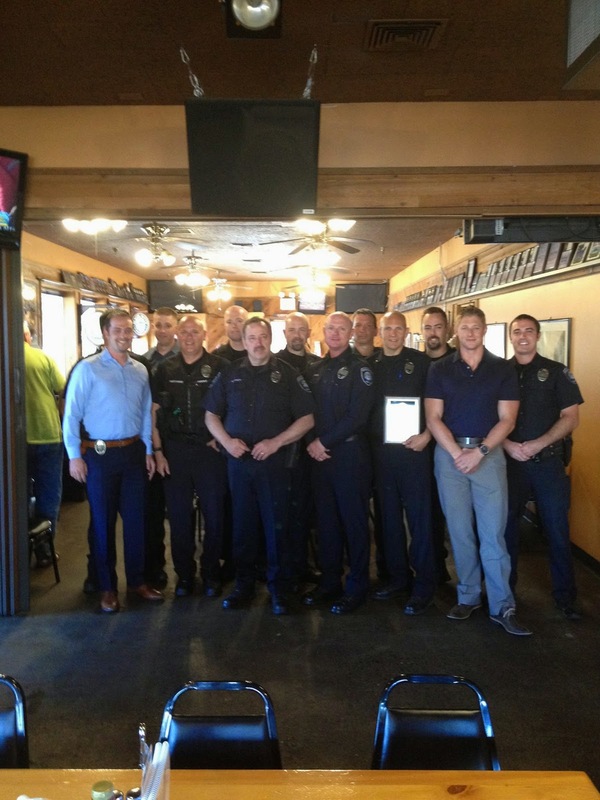 The 2014 event was held on June 10 and instead of honoring one individual as officer of the year, as is the norm, Oregon City's Police Chief Jim Band recognized the entire department. It was a tough year, with the tragic loss of an officer, and all pulled together to serve the community through their grief. 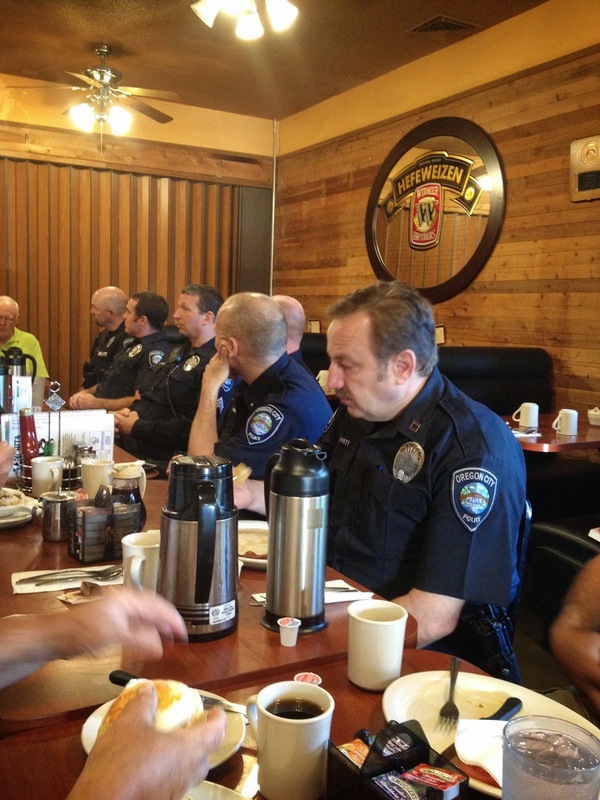 Thirteen officers were treated to breakfast with the Oregon City Optimist Club and were honored with the Optimist International Respect for Law plaque. Thanks for sharing the story and pictures, Brian. For many years (I'm not going to guess how many), the Boise Noon Optimist Club has served lunch to the Hugh O'Brian Youth (HOBY) Leaders in Idaho during their week-long leadership camp. 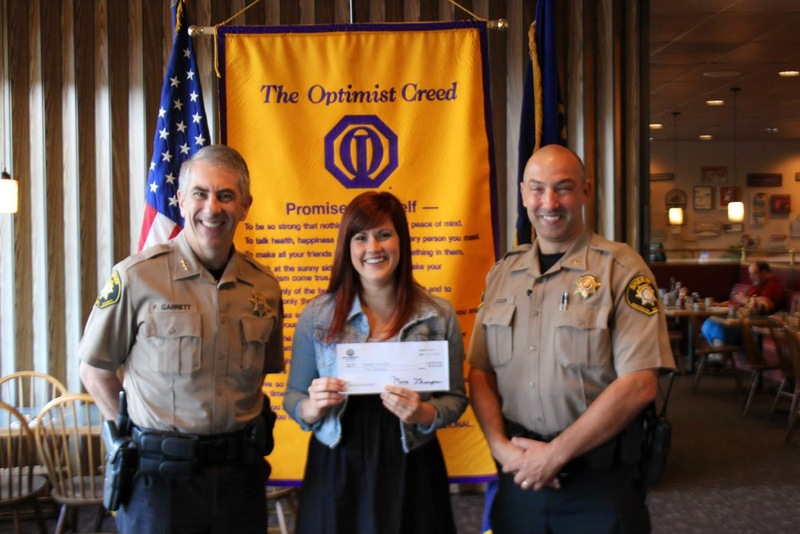 About four years ago, the program moved to the College of Idaho campus in Caldwell so the Boise Noon Optimists contacted the Caldwell Optimist Club to get them involved in the fun. On Saturday, June 7, 2014, the Caldwell and Boise Noon Optimist Clubs were there in full force to celebrate the achievements of these outstanding students. The HOBY program is endorsed by Optimist International. "Founded in 1958, HOBY’s mission is to inspire and develop our global community of youth and volunteers to a life dedicated to leadership, service and innovation," reads the About page on the HOBY website. It's easy to imagine why an Optimist Club would want to influence these young leaders. 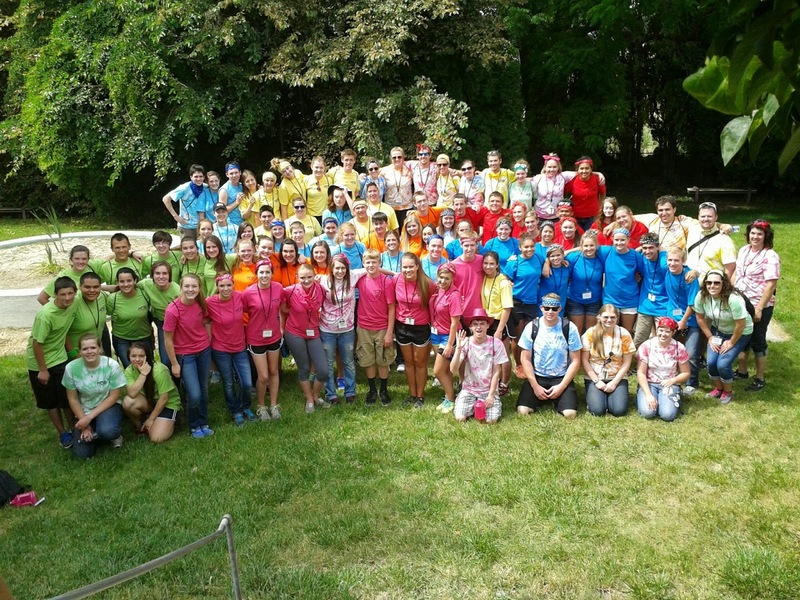 Over the years, the HOBY program has grown and developed and now offers multiple leadership development conferences and camps to participants and alumni along with scholarships and community service opportunities. It's another way to empower accomplished students to do even more by becoming peer leaders, mentors and strong community servants. Find out if your Optimist Club can be involved with a HOBY program in your area at this link. 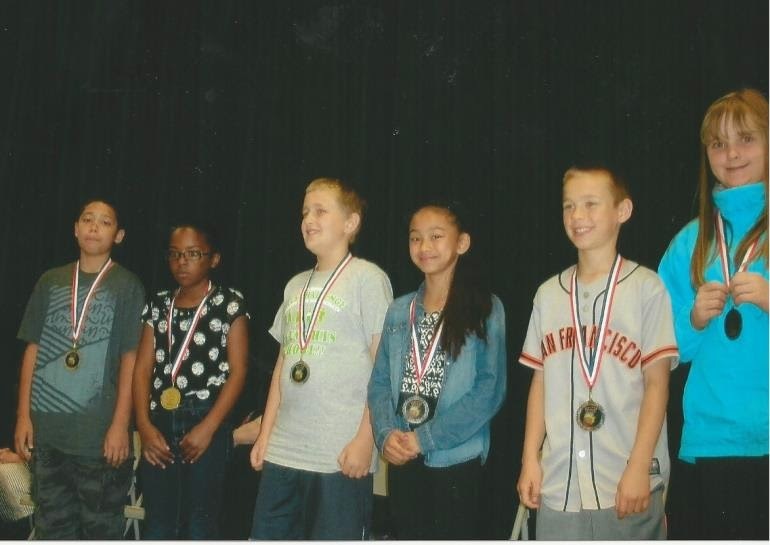 Attendees at the 2013 PNW Optimist District Convention chose to sponsor two Communications Contests for Deaf and Hard of Hearing students. One would be the traditional contest funded by the Optimist International Foundation for students that sign. The other would be for deaf students who speak funded by donations received by the district for that purpose. Chris Stearns, District Secretary/Treasurer at that time, established a campaign through the Optimist International Foundation on behalf of the district for this second scholarship. In order to remain solvent, this campaign fund must receive at least $2,500 in donations each year. Obviously, we would like to receive more so that we can endow this project well into the future, but both the need and the wish rely on you, our Optimist Clubs, and their supporters. As you can see, as of this writing we are still $1,000 short of our commitment for this year. 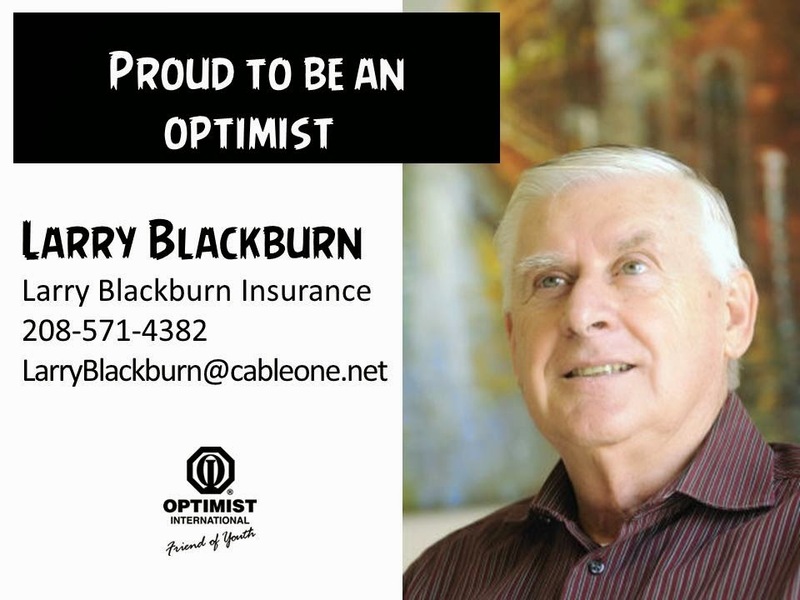 Ray will then forward your contribution to the campaign fund with Optimist International. Please know that this is the same procedure for clubs and members in the US or Canada. This second scholarship is a PNW District award and the winner of the scholarship will receive their award via a check to their chosen university upon enrollment. The student must request the award be transferred by contacting the current district secretary/treasurer at that time. The secretary/treasurer will then ask for the needed information to fulfill the request. 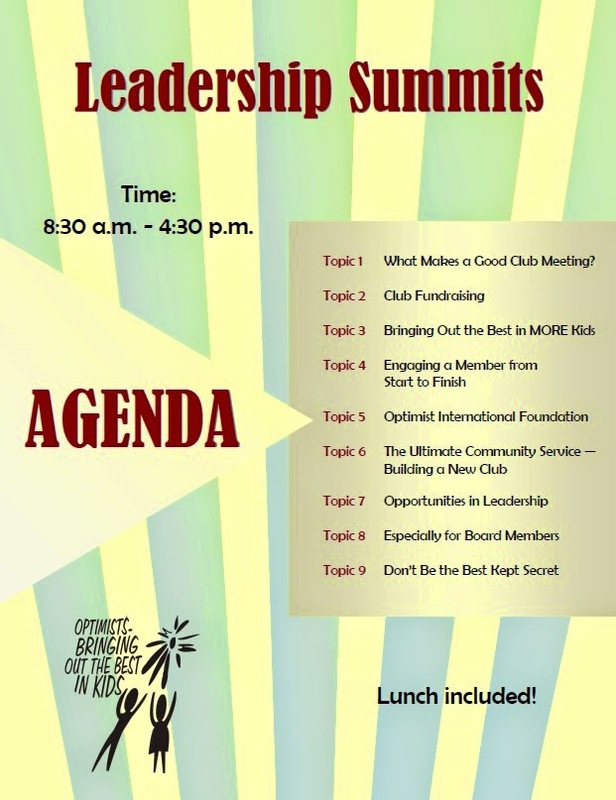 Does your club attend your District meetings? Has your club seen continuous growth since you have been a member? Does your club have a "member orientation" program? If the answer is "No" to any of the above questions, then the Leadership Summit will be the best investment you make in your members, club, and self. Come join Governor Fred Wallace, Governor James Minyard, International President Ron Huxley, and myself (Bob Schiller) at the Leadership Summit in Portland, Oregon on June 14, 2014 as we provide you with a foundation of information to help you and your fellow Optimists learn how to be even better at "Bringing Out the Best In Kids!" The Portland Leadership Summit is part of President Ron's plan to engage Optimist Club members at a local level with training similar to what they would receive if they were to attend an Optimist International Convention. It's a bargain registration rate - only $25 for a day of Optimist fellowship and learning. Register now at this link. But don't be fooled by the video. The event takes place at the Holiday Inn Airport. For those of you outside of the Portland area, you might consider flying-in and flying-out the same day.